During his brief life, he illustrated dozens of well-known books, from Edgar Allen Poe’s The Raven to the Bible. 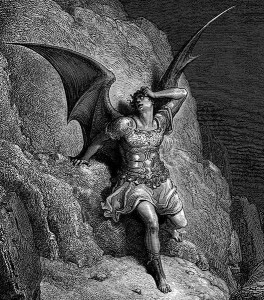 The first image below is a sympathetic portrayal of Satan from Milton’s Paradise Lost. 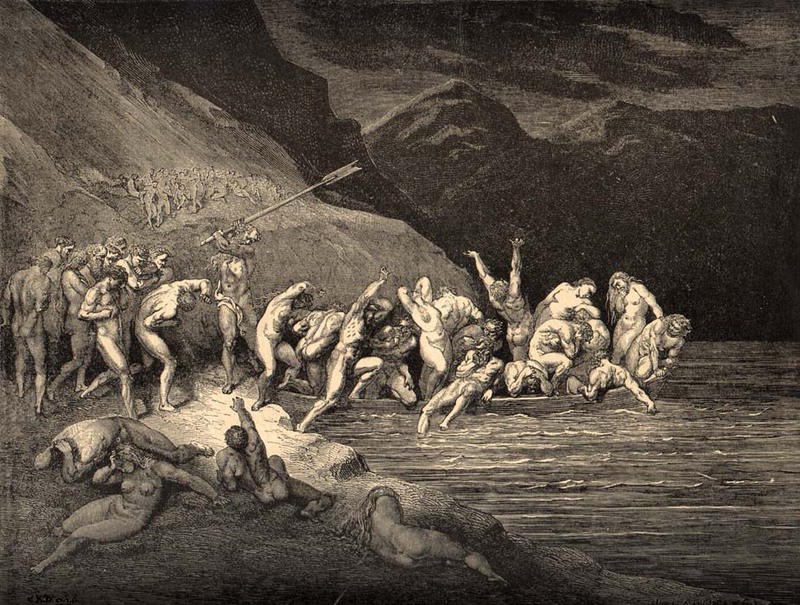 The second is from Dante’s Divine Comedy, where Charon herds sinners onto his boat so he can ferry them across the River Styx to be judged. Both images are appropriately gloomy but beautiful all the same. Enjoy!